The 1957 Jaguar XKSS sports car was one of the world’s first supercars. Essentially a road going version of the brand’s Le Mans race winning D-Type, only 16 examples of the impossibly curvaceous two seater were manufactured. When and if they come up for sale nowadays, they can trade for upwards of $15 million. Unbeknown to many people, an additional batch of nine XKSSs was intended for the American market. These cars were destroyed in a factory fire before completion, and the series ended there. Now, Jaguar ’s special heritage division, Jaguar Classic, will be building these nine missing cars. Not replicas, but actual brand new, old XKSSs. They will be stamped with official vehicle identification numbers, and will, just like the originals, come equipped with potent race-bred triple carbureted, straight six cylinder engines, four-wheel Dunlop brakes, and lightweight magnesium alloy bodies and wheels. The process of reverse engineering an old car, however, is not a simple matter. The original styling bucks – wooden maquettes over which the metal body panes were hand shaped – were lost in the fire, so a meticulous 18 month process of researching original drawings, laser scanning existing XKSSs, and computer mapping the entire vehicle was required to create new bucks. The nine “continuation” cars will be hand built using these templates and an archaic metalworking tool called the English wheel. 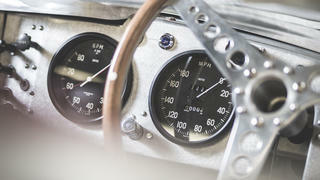 The interiors of the new old cars will be similarly authentic, with exact replicas of vintage Smiths gauges, brass switchgear, leather seat and dash-top surfaces, and wooden steering wheels. The only significant changes will be the addition of some modern safety equipment, particularly to allow the use of contemporary gasoline. Some 10,000 hours will go into building each car, and they will be priced accordingly. This is not the first continuation vehicle that Jaguar Classic has created. A few years back, it released a limited run of six lightweight E-Type roadsters, again intended to round out a series that had not been completed (18 were intended, 12 were made). These sold out instantly, as we expect the XKSSs will. 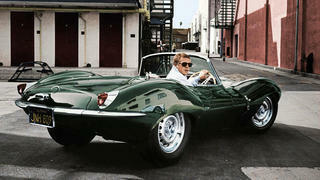 Is Jaguar likely to have more classic cars make a comeback? With decades of impossibly compelling models to choose from, and a collector car market trending toward highly original, low mileage vehicles with excellent provenance, the answer seems likely to be yes.